Xiaomi has revealed that a new independent smartphone with an impressive 48MP camera will be launching on January 10. For quite some time now, rumors of this latest mysterious smartphone with a 48-megapixel camera has been making wave with no actual date on when the smartphone will be arriving. The Chinese phone manufacturer, Xiaomi has confirmed through the official Xiaomi Company Weibo account that the smartphone will be unveiled on January 10 in Beijing. From all indications, the mysterious smartphone is a Redmi phone. 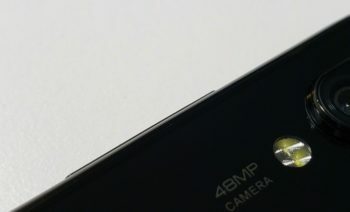 You can see from the image posted by a Xiaomi official containing a big-sized ‘Redmi’ text indicating that the company will be launching a Redmi phone with a 48-megapixel camera on the said date. Unfortunately, the poster didn’t reveal more information on the specifications but we hope it is going to worth the hype. Meanwhile, Xiaomi president Lin Bin shared an image of the mysterious smartphone last month which showed that the new Xiaomi Redmi smartphone is going to come with 48-megapixel camera.